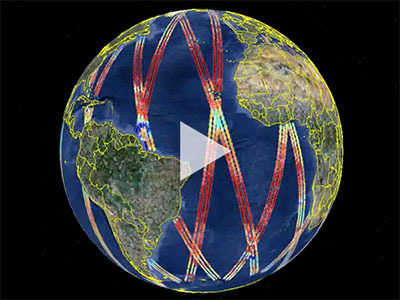 How does NASA measure salinity from space? Over the past 50 years, we see a dramatic freshening of seawater in some parts of the North Atlantic. 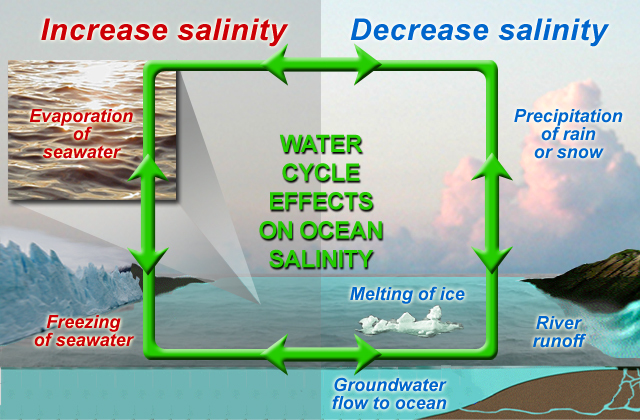 We also see salinity increasing, or getting saltier, in other regions. 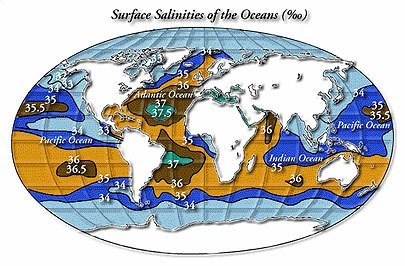 So global warming will have a signature in ocean salinity, that is why we want to measure it from space. I understand that salinity measurements from space are relatively new for NASA. 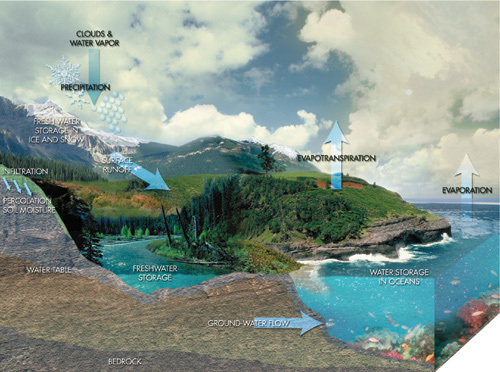 What insights have been gained to better understand the planet's water cycle and changing weather patterns? There are quite a lot of interesting discoveries the science community has been finding from the Aquarius data over the ocean. 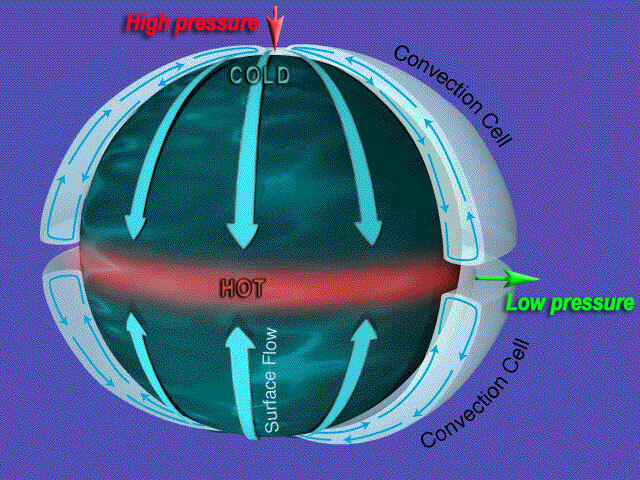 The dynamics involving fresh water from precipitation and how it mixes with upper layers of the ocean is of special interest. 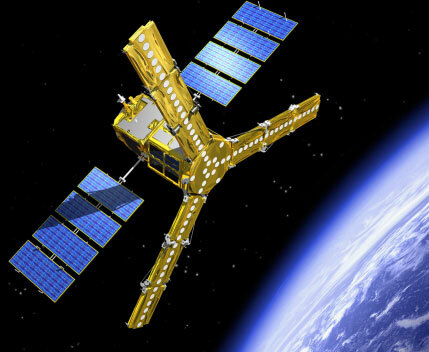 Satellites measure salinity at the surface. We also use ocean buoys, but readings use conductivity sensors to measure salinity at a depth of about five meters, a depth at which algae is less likely to grow. We know that the surface layer, aerated by wave motion and carrying warm water in the tropics, is conducive to algae growth. 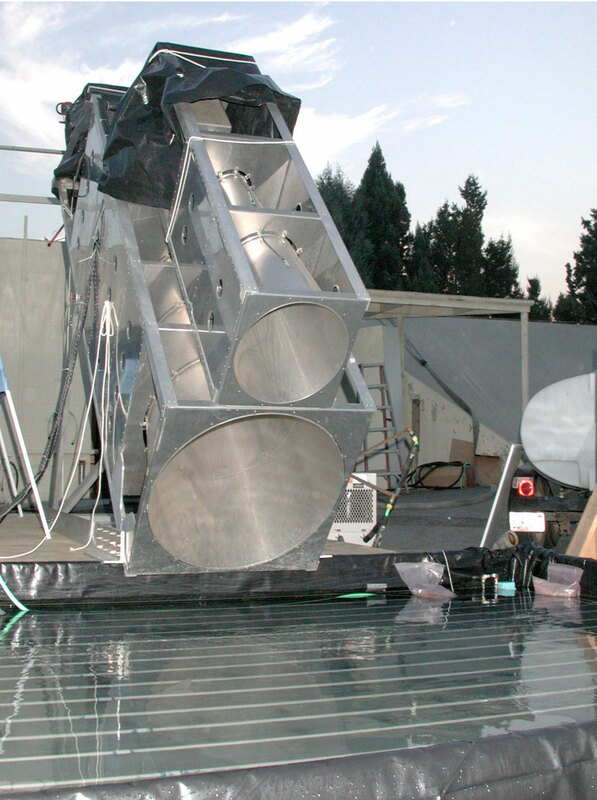 Sensors placed closer to the surface would become fouled with algae and no longer function. At a depth of five meters, algae growth is discouraged, the increased salinity at depth acts much the same as chlorine would in a swimming pool. 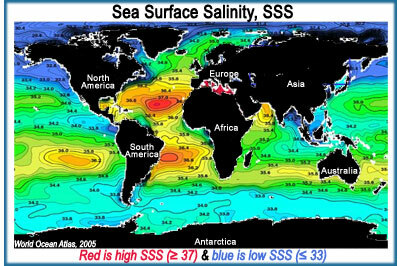 The ever-changing salinity dynamic in the top five meters of the oceans has recently become a topic of great interest to oceanographers and climate scientists. 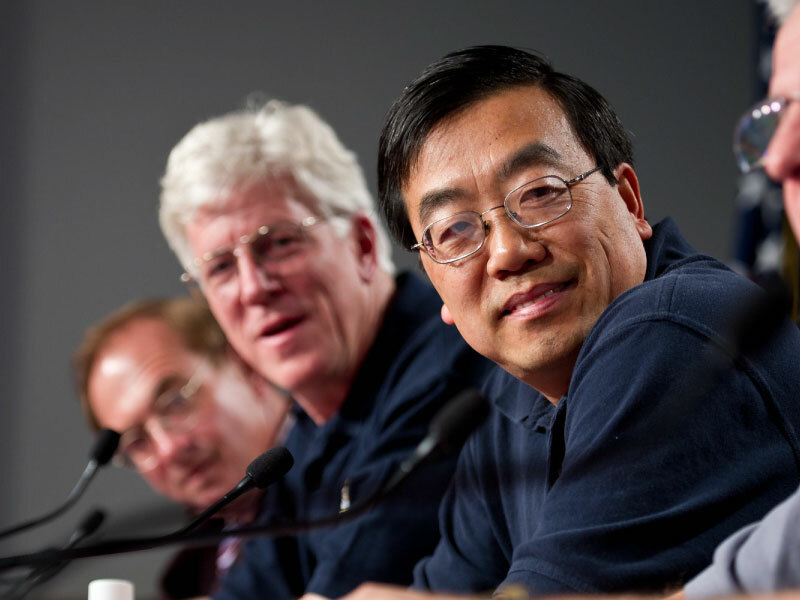 Its understanding is now seen as a key factor in predicting weather patterns and changing climate. How much does ocean salinity vary with depth? Studies indicate that this could be the case. A group of scientists have looked at data from Aquarius and SMOS taken over the Amazon river plume in the western tropical Atlantic during the time of hurricane Katia. What kind of equipment is placed in the oceans to take readings which can work together with the data collected by the satellite? What about animals and tracking mechanisms which travel long distances in the ocean waters? There are a number of ways of measuring the salinity in the water, including tagging marine animals as you mentioned. The TOPP project is just one such example of tagging animals in the ocean. One can also measure salinity from ships, moored and drifting buoys, and profiling floats. There are 3000+ Argo floats that measure sea surface salinity every 10 days. We need these in situ measurement to calibrate the satellite observations, and verify the proposed 0.2 salinity unit accuracy. I heard about a 2012 deep water project in the Atlantic using ships, smaller craft, buoys and submersibles. This project is known as "SPURS," which stands for "Salinity Processes in the Upper-ocean Regional Study." The experiment will have two goals. One is to provide more in situ data to help us to compare with Aquarius and more importantly, to collect three-dimensional information at various depths. We have five cruises planned. Each cruise will be thirty days long and will take place in the North Atlantic about 28 degrees north, away from the coast, where maximum salinity in the Atlantic is present. 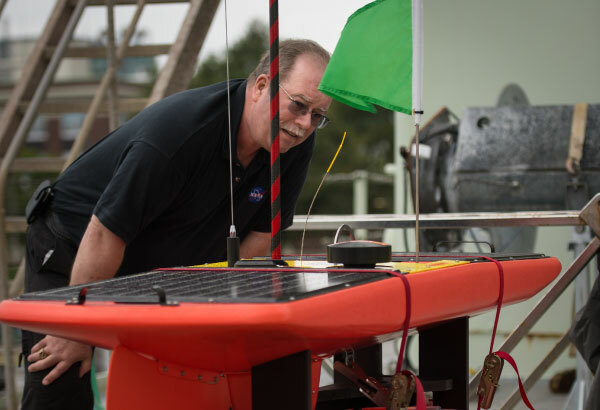 We'll deploy a number of different vehicles, including robotic vehicles, to measure saline concentration in the three-dimensional water column, and then try to understand what controls the change at the surface. Aquarius measures only surface salinity. By knowing the surface changes, we hope to use this field campaign to understand the processes that take place within the water column. So, if we see some changes at the surface, we can anticipate what may be happening at depth. Aquarius has a very precise instrument that tells us how much energy is coming off the ocean surface and we express that as a "Brightness temperature". If the brightness temperature is higher, then the seawater is fresher (i.e., less salty; see purple arrow / dashed line above). 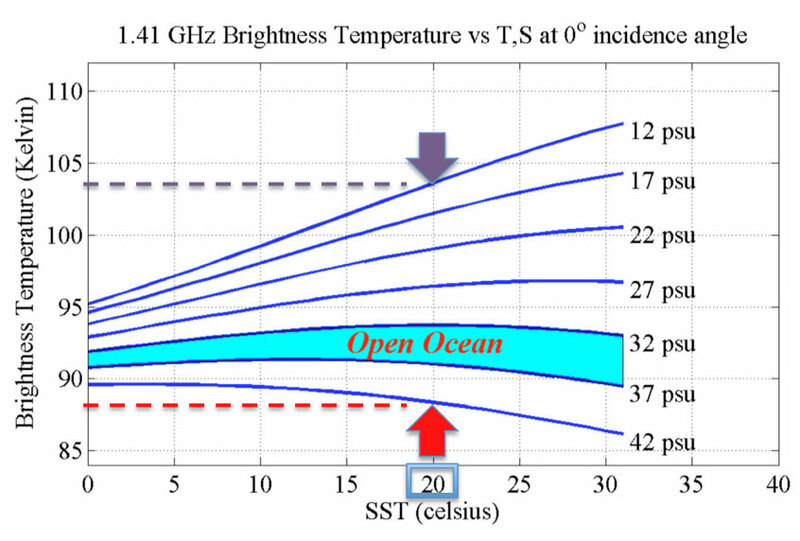 If the brightness temperature is lower, then the seawater has more salt (i.e., red arrow / dashed line). The graph shown at right was published in 1977. So an important new area of research is to develop a set of curves that are very carefully calibrated so we know exactly what energy corresponds to what salinity. And the instrument we use is very precise and makes these measurements accurately and consistently. There are two potential ways to look at your question. I don't really know how much of an interference of our microwave frequency signal that we would see from a volcanic eruption. We do know that when there are large volcanic eruptions, it certainly throws off infrared frequency measurements from space because the dust and debris get injected into the stratosphere and creates a horizontal cloud that obscures some of the infrared light. But I think that microwave energy (that NASA measures) will pass right through so I don't think it will actually affect our measurement. But its impact on the ocean is going to less direct. 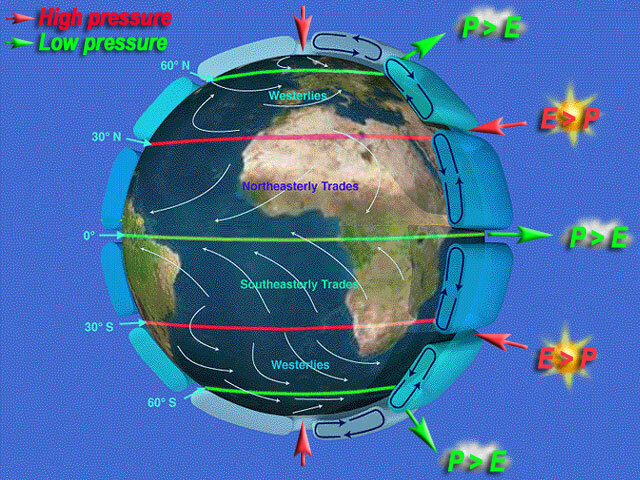 It will impact the temperature over the long run because it will shield some sunlight and therefore affect the temperature that, in turn, could affect the interaction of the ocean with the atmosphere to change rainfall patterns that would affect salinity. This is because salinity is directly tied to rainfall and evaporation off the sea surface. There wouldn't be any near-term effect but there could be long-range effects associated with volcanic eruptions. But I don't think a volcano is going to have any direct effects on sea surface salinity. The theory was developed more than 20 years ago. Because this is such a challenging measurement, it took more than a decade to demonstrate that we can do this. We did the lab test first, then built a water pool outside (at JPL), and flew an aircraft to measure salinity in the coastal ocean. All of this occurred before Aquarius was launched. NASA has a small fleet of Earth Science spacecraft engaged in climate studies. 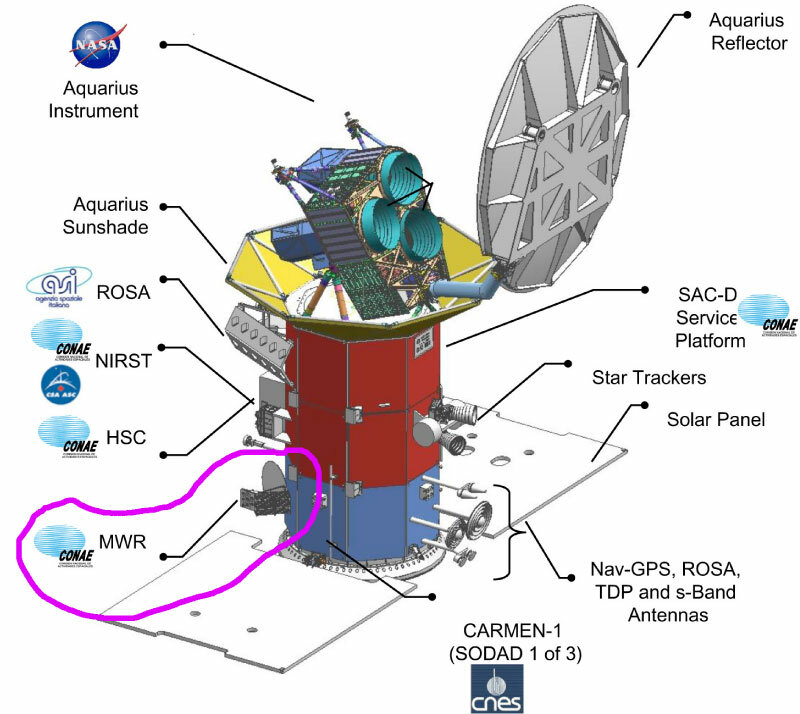 Is Aquarius working in concert with other craft as well to gather data on the planet's water cycle and shifting climate? Are the data compiled on the satellite and downloaded periodically? 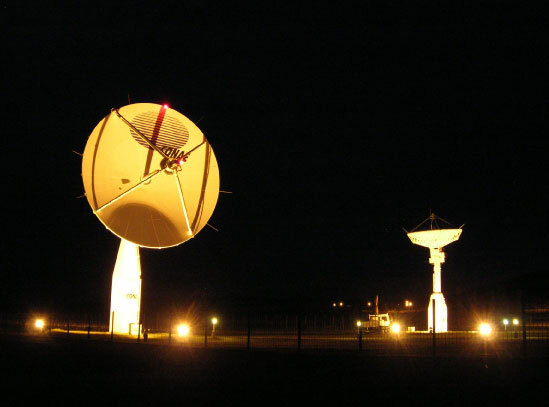 How do these data get to earth? Taken together, the information from each of the two craft complement one another other quite well.